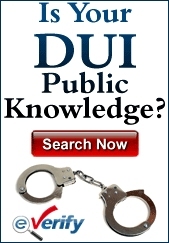 Was Your DWI Arrest Made After Improper Testing? You are here: Home / Defense Strategy / Was Your DWI Arrest Made After Improper Testing? When a drunk driving arrest is made in New Jersey, the most important pieces of evidence that will lead to a conviction or an acquittal are the field sobriety tests. It is the field sobriety tests that form the basis of the investigation continuing to breath tests. The breath tests will verify that the driver has a blood alcohol content above the legal limit and, barring any mistakes on the part of the officer, it is difficult to contradict the BAC results. When a driver and an attorney are trying to find ways to have the charges dismissed or to receive an acquittal, one of the most common ways in which this is done is to challenge the field sobriety tests if they have been conducted improperly. A law enforcement officer must have reasonable cause to make a DWI stop. This can include a driver breaking a traffic law, driving erratically or the officer can act on a tip from a witness. If there is no just cause to make the stop and the officer makes it anyway, the charges can be dismissed whether the driver was drunk or not. After the stop has been made the officer will speak to the driver to look for clear signals of intoxication. This can include slurring of words when speaking, having bloodshot eyes and the officer smelling alcohol. After it has been established that a DWI might be taking place, the officer will have the driver take field sobriety tests. If the driver fails the field sobriety tests, there will be a breath test given. For the breath test, if a driver age 21 or over registers a blood alcohol content of 0.08% or above, there will be an arrest. For a driver under age 21, the level is 0.01%. For a commercial driver, it is 0.04%. The penalties depend on how many times the driver has been convicted of DWI, the circumstances surrounding the arrest and the level of alcohol in the blood. For a first DWI offense with a BAC of 0.08% and below 0.10%, there will be a driver’s license suspension of three months. A fine will be assessed for between $250 and $400. There can be up to 30 days in jail. A surcharge of $1,000 will be paid annually for three years. $100 each will be paid to the drunk driving fund and the Alcohol Education and Rehabilitation Fund (AERF). $75 will go to the Neighborhood Services Fund. $230 will be paid to the Intoxicated Driver Resource Center (IDRC). If a driver is arrested with a BAC of 0.10% or higher, is caught committing a DWI in a school zone or has been convicted numerous times, the penalties will be much more significant. The National Highway Transportation Safety Administration (NHTSA) has provided recommendations for field sobriety tests that it deems to be trustworthy. The three that are most commonly used and accepted are the Walk and Turn test, the Horizontal Gaze Nystagmus test and the One-Leg Stand test. There are, of course, other tests that are given, but it’s these three that are considered the most accurate when deciding on a driver’s sobriety and whether breath testing is needed. 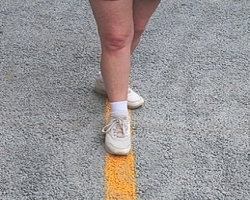 The Walk and Turn test involves the driver standing with both feet together and walking a straight line, stopping and then turning around to walk back to the original spot. The Horizontal Gaze Nystagmus will have involve the officer having the driver stare straight ahead at an object such as a pen or a small flashlight. The officer will them move it left and right in the driver’s field of vision and look for inadvertent jerking of the eyeball that can indicate intoxication. The One-Leg Stand test will have the driver place the arms out to the side and lift one leg with the toes pointed outward. If balance is lost, it can be seen as evidence of intoxication. With these field sobriety tests and others, there are always potential reasons for the driver to fail them that have nothing to do with being drunk. For example, if there is a medical condition that prevents the driver from walking a straight line or standing with a leg in the air without losing balance, that can be relevant. There also might be a medical condition or medication that leads to the eyes jerking involuntarily during Horizontal Gaze Nystagmus. If the tests are given in an area that is uneven, rocky or has potholes, the driver might not have been able to complete them as required not due to drunkenness, but due to circumstance. With breath tests, there is also a chance that the officer didn’t follow the proper protocol. It is required that the officer observe the driver for 20 uninterrupted minutes to make sure that the driver doesn’t do anything to compromise the test’s validity such as regurgitating, chewing gum or drinking soda. Failure to follow that protocol can result in the test being invalid. The officer must be certified to give the test and the breathalyzer machine must be properly calibrated. It is up to the defense attorney to study the evidence, speak to the defendant regarding the circumstances surrounding the DWI stop and decide how best to contradict the evidence presented by the officer and the prosecution. If the tests were given improperly, it could be a chance for the attorney to have the charges dropped or to get an acquittal.